The Scrabble tournament was over (Mr Hg137 came second !!! ), and our return ferry was not till lunchtime, so we had the morning free. 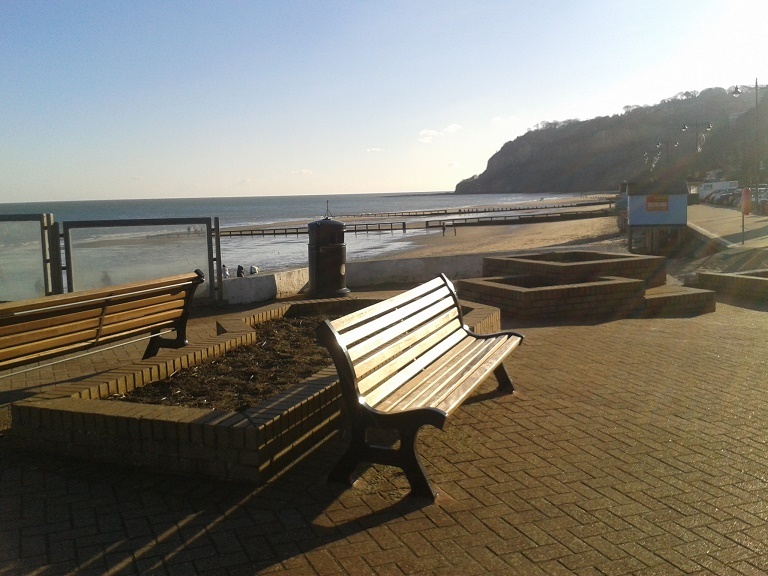 We are gradually working our way around the caches of the Isle of Wight, and the venue we had selected for today was … Ventnor. 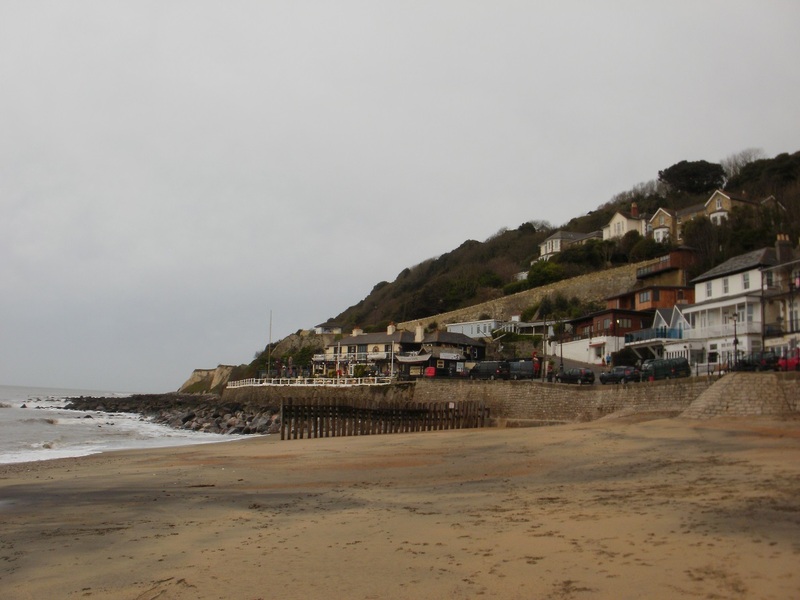 We zigzagged our way down the steep road to Ventnor seafront, where there is free parking until 10am in March. So there was no hurry, but also no time to waste. Our first cache was an earthcache, set by Heidi Seekers. 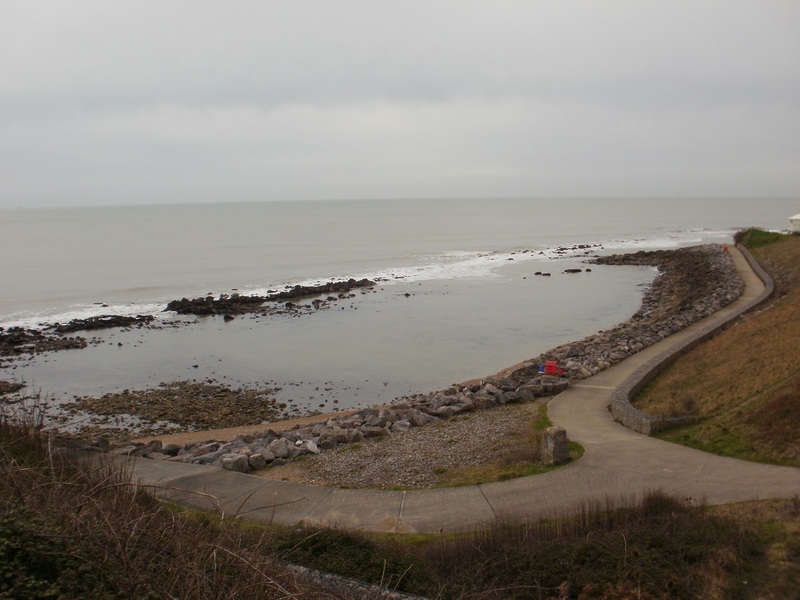 Now, we’ve done several earthcaches by the same cacher before, notably one at Freshwater Bay, where we were nearly blown away/drowned/swept out to sea as we tried to get to the right spot. 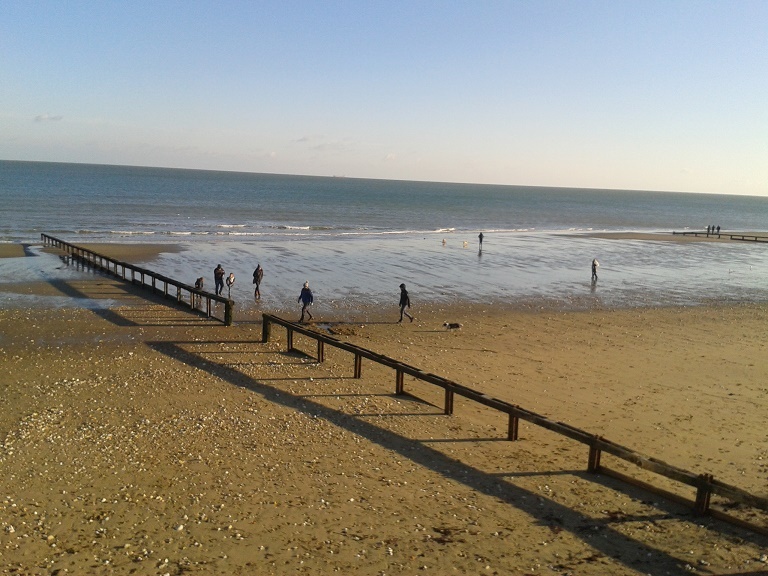 But there were no such dramas today, the wind was light and the sea was calm and gentle, and we solved the earthcache by standing on the beach, in just the right spot, and commented on things underfoot and about us. 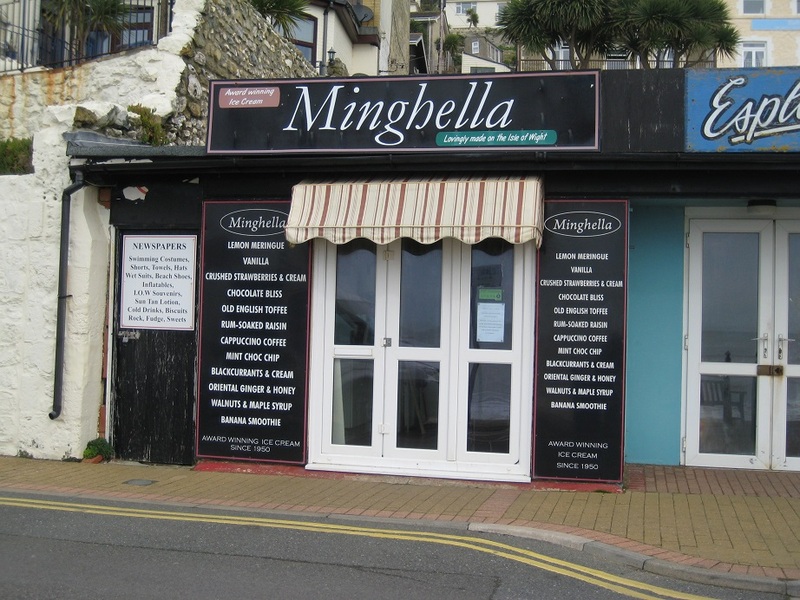 Iconic Isle of Wight business! 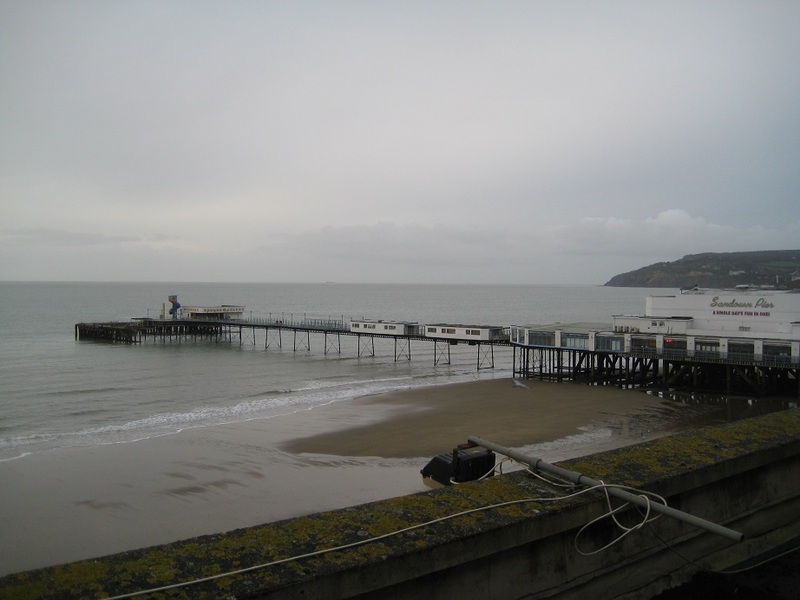 Our second cache in central seafront Ventnor was at the bandstand, where the pier used to start (it was demolished in 1993). We found the location, and looked around. Where was it? Time ticked on towards the end of free parking time and we couldn’t see it. After a while, we climbed on a seat a little way away, and looked again from a higher viewpoint. NOW we could see it now, but oh err, it was very high up. We tried stretching (a lot), giving each other a bunk up (epic fail!) and looking around for a very tall person, monkey, or passing ladder owner (no suitable candidates). Paid parking time was now 2 minutes away and I was sent back to the geocar with instructions to move it and ‘drive around’ if a warden appeared. As I left, Mr Hg137 was removing his shoes. Ho hum. I waited – no warden appeared – and Mr Hg137 appeared a few minutes later, exuding triumph. Turns out that he’d piled up his shoes, stood on them, and they had given him a crucial inch or two of extra reach. Once parked, we headed off downhill on a path towards the sea, and soon arrived at our next cache. From a few steps away, we couldn’t see where the cache could be, based on the description, but suddenly everything fell into place and the location was obvious. We left something here, ‘Duck Pound II’ but this deserves a blog post to itself. Time was passing, and we had one more cache to find before crossing the island to the ferry terminal. It was further along the bay, and we walked to about a hundred feet from the cache, according to the GPS. At this point, all our caching experience deserted us. What we *should* have done is walk up the nearby path, which would have taken us to just a few short steep paces from our target. What we *actually* did was to launch a full scale, slippery, sliding onslaught on the cliff face, arriving at the correct place out of breath and with all poise gone. 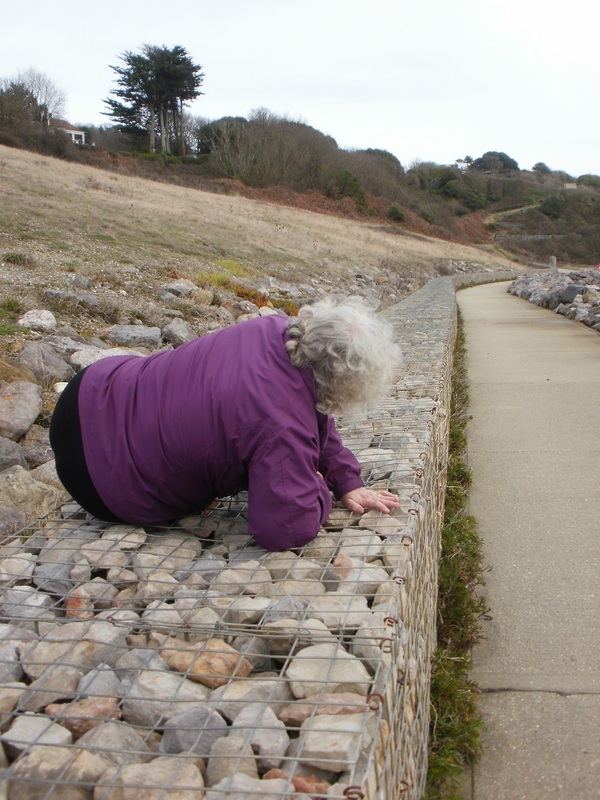 It amused two passing dog walkers, anyway … and the cache was hidden in another of those pesky gabions! 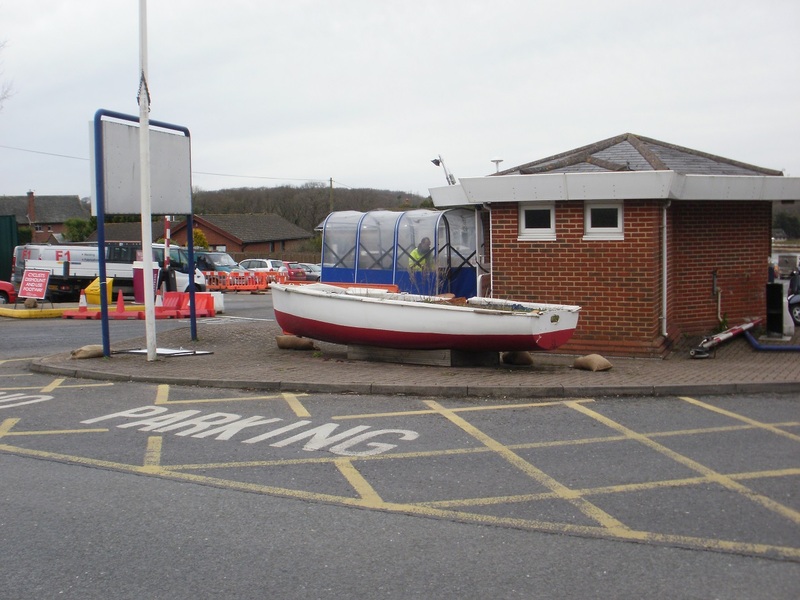 By now, ferry time was calling, and we arrived at Fishbourne ferry terminal with exactly 30 minutes to spare. Having parked, we had a quick look to see if a ferry was approaching – it wasn’t – and then rushed back up the hill to look for the cache hidden at the entrance. After a rushed find/sign/replace, we were back at the geocar just as the ferry came into view. Another great morning’s caching on the Wight! 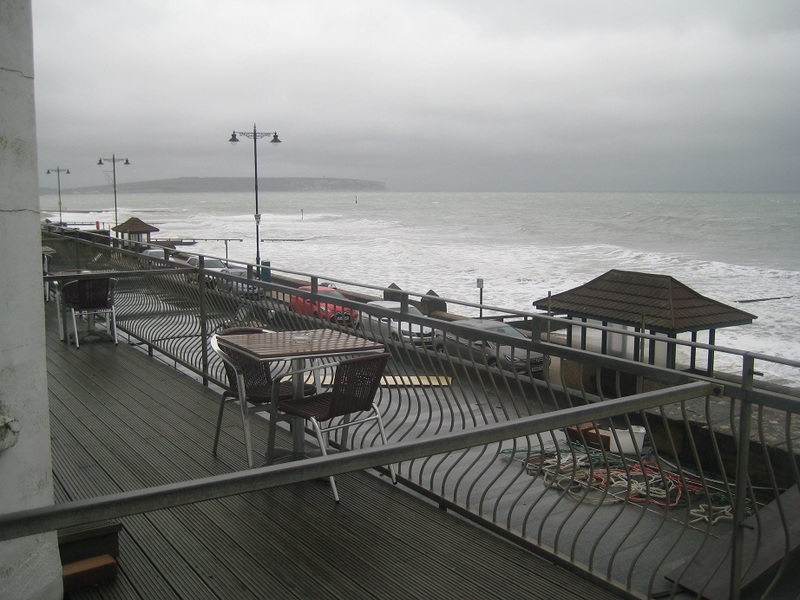 As we mentioned on our previous posting we were visiting of Isle of Wight to play in a Scrabble tournament. This was a fairly lengthy affair with 20 1-hour games spread over a 48 hour period. (When you allow for sleeping and eating doesn’t leave much time for caching). We had stayed in the hotel before and had managed to find all the caches that time would allow when not playing. Imagine our delight this year to realise that a new cache had been placed in an alleyway right next to the hotel! The alleyway led from the hotel to the High Street (sandwich lunch), and the hotel car park. We went through the alleyway several times during the Scrabble weekend, each time without a GPS. 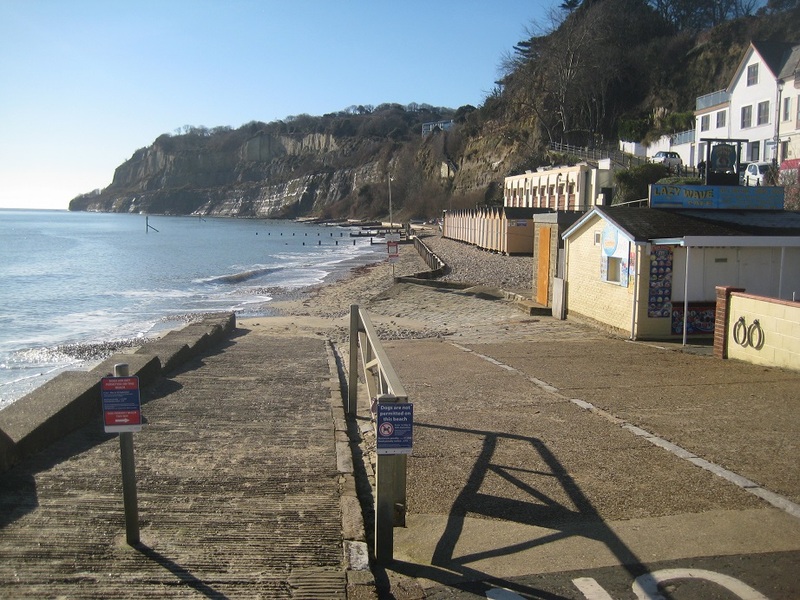 The alleyway, and a small cul-de-sac beyond, are not the Isle of Wight’s finest. Looking tired, pipework slightly rusty and with a typical ‘unloved back of buildings’ feel to it. Every time we traversed the alleyway we couldn’t find the cache. We stuck our fingers into every gloriously dirty hidey-hole, looked at every metal/magnetic surface and even tested a few screw heads to see if they were loose. Nothing. At the end of the tournament (at which Mr Hg137 did quite well finishing second), we decided to take the GPS with us. Now we had a clear fix as to the part of the alleyway to search, and within two minutes had the cache in hand! Isn’t technology wonderful! 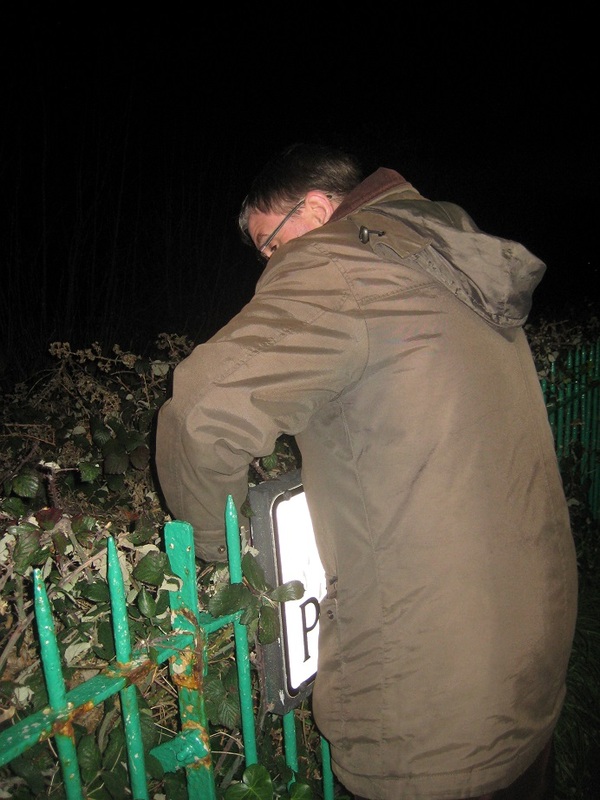 We then told a couple of Scrabble friends (one a cacher too) that we had found the cache, and with a little bit of assistance (“It’s between here …. and …. here”), they too had the cache in hand. A good omen for the Scrabble tournament? 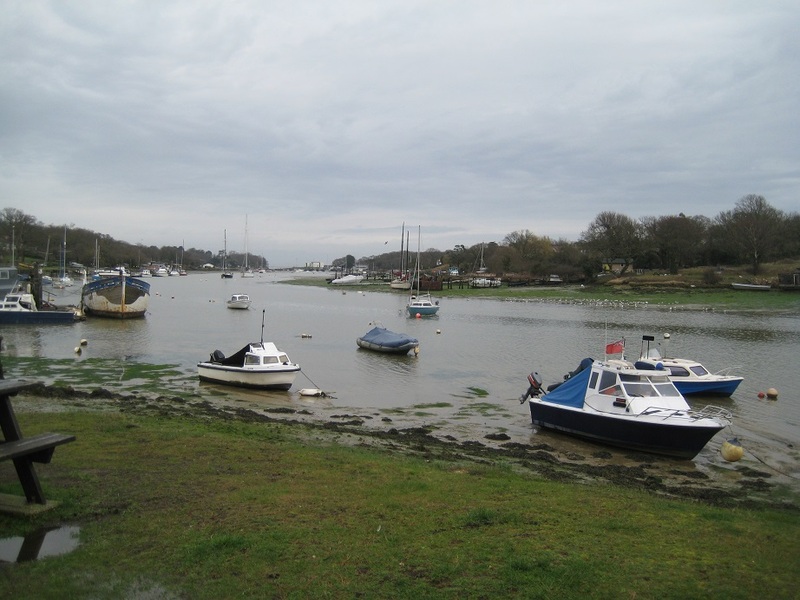 The first cache chosen was on the opposite side of Wootton Creek from the ferry terminal at Fishbourne, and was called ‘Down the Pump’. What did that mean? Hmm – what it did mean was that the cache was located at the end of Pump Lane, overlooking the creek, and was found after a short but damp search. 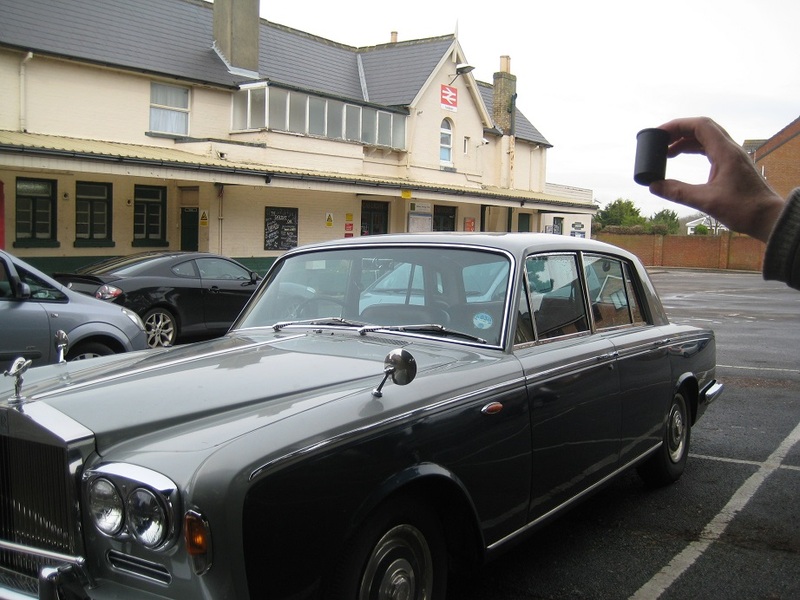 Sandown Station – posh motor! 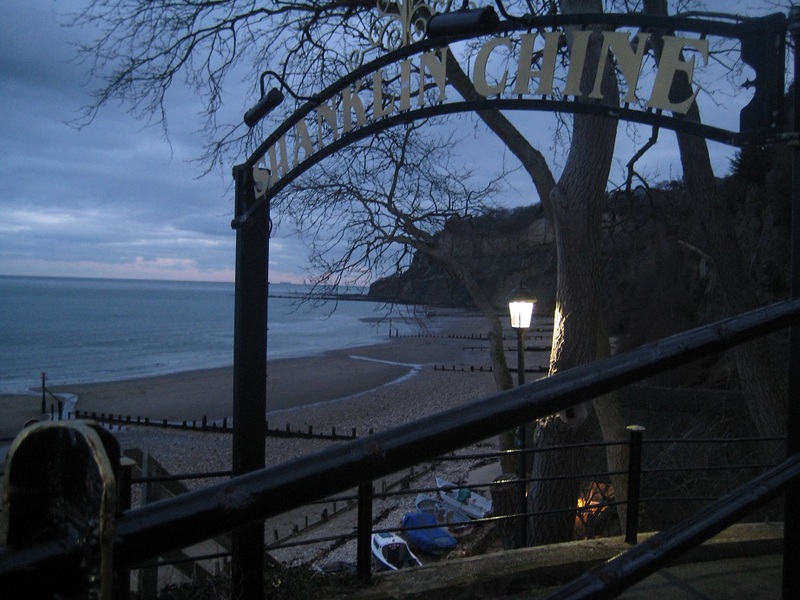 And so we arrived at our destination, in good time, and, most importantly, NOT muddy! As regular readers of this blog may know, both of us (Mr and Mrs Hg137) enjoy playing Scrabble and often play in tournaments. Today was the Annual Tournament being held in Southampton (Hedge End district) and as we have done for the previous few years… we decided to hunt a cache before we started to play. 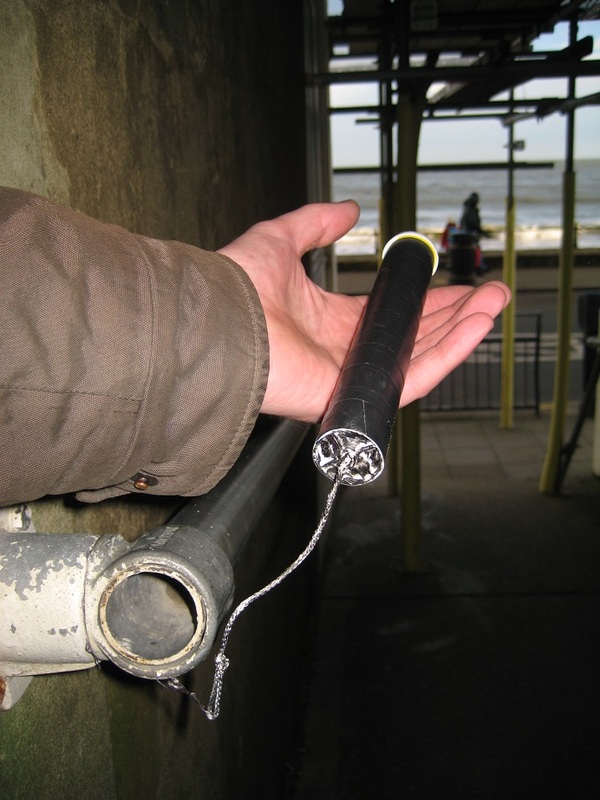 Last year we noted that all the obvious, on route, cache and dashes had either been found by us, or removed. 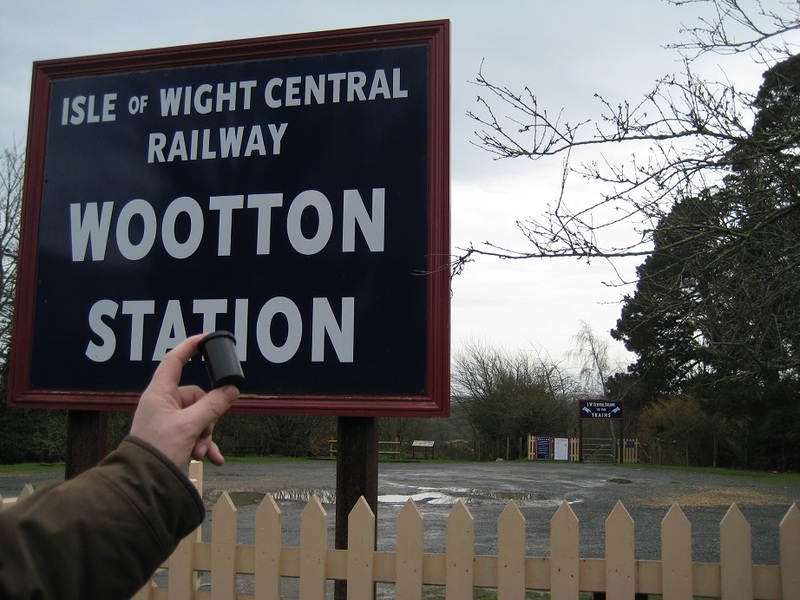 It was with great surprise this year to discover a new cache had been placed within yards of the venue! 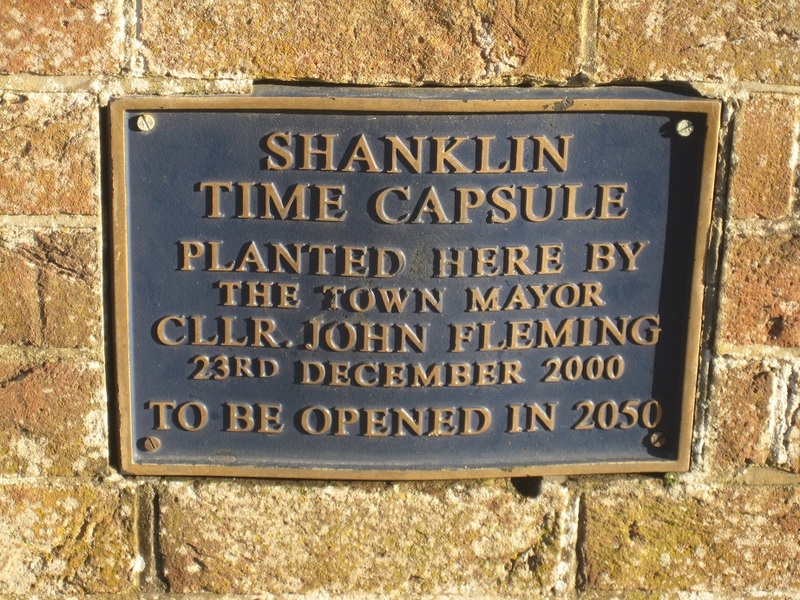 It was named after local resident John Edgar who ran a Cleansing and Decorating service in the area. The find was easy, and in direct eye-line of every other competitor arriving! Fortunately we weren’t spotted, replaced the cache as found and went on to play. We had mixed results, with Mrs Hg137 finishing just below half-way in the top division, but Mr Hg137 finished 8th which won him a place in the National Scrabble Finals in Milton Keynes in October. Good news for him.. but bad news as that’s a day less caching in October! PS Sorry no pictures this time. We didn’t have a camera with us, and the cache was a typical small urban find! 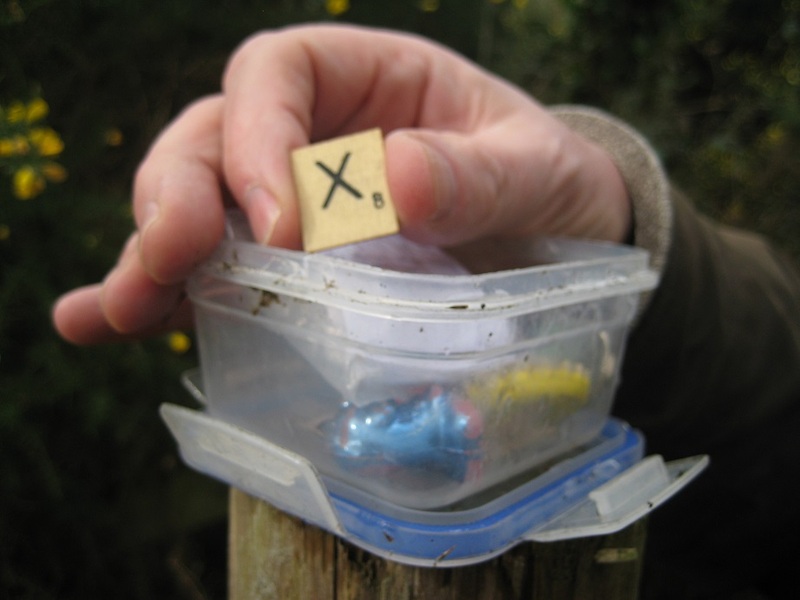 Regular readers are no doubt aware that as well as geocaching, we play a certain amount of competition Scrabble. 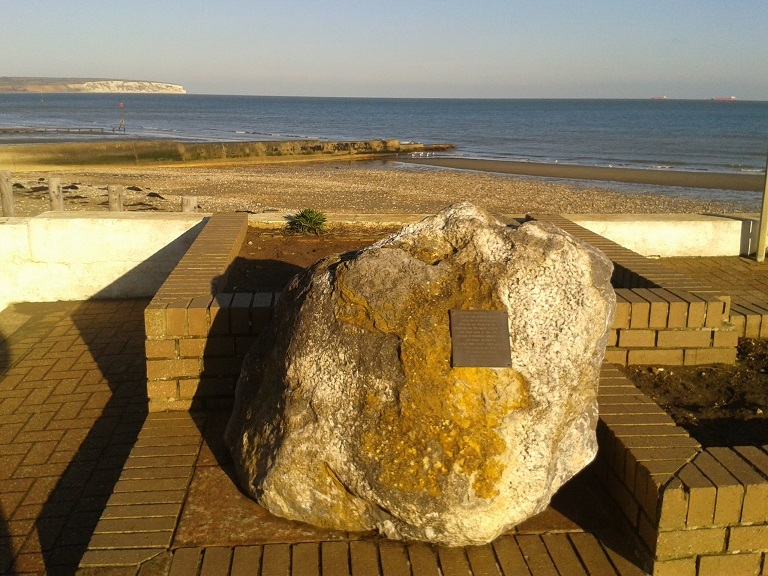 In fact less than a month previously we were double prize-winners on the Isle of Wight. Thus it was with high expectation we attended the Swindon one-day tournament. Our geo-car, sorry scrabble-car, knew the way there, as the Swindon area was very close to the Thamespath, and playing Scrabble all day meant we couldn’t continue our year-long caching expedition along it. However we did notice a geocache hidden yards from the Scrabble venue. Too good to miss! Well, we almost did miss it! On arrival we turned on our GPS to lead us to GZ. We waited for the satellites to spot us. We decided to start walking in the right direction. Keep on walking…. Eventually our GPS locked into a satellite (or is it the other way round?) 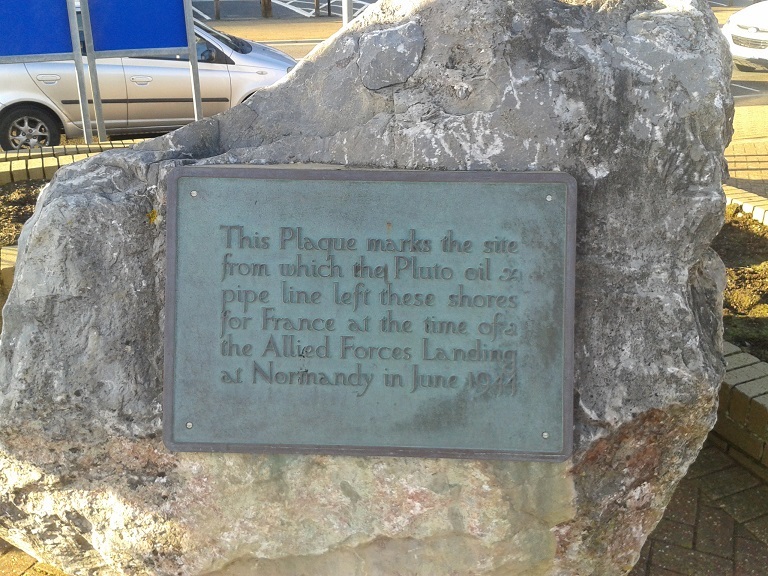 – we’d already overshot by 200 feet! Back we went to find the cache very, very easily. A beautiful camo bag, nestling under some branches in the bowl of a tree. Sadly this success was not replicated on the Scrabble boards. About half of our opponents were WORLD CHAMPIONSHIP class and we finished well short of any prizes. Still, we can’t win them all!